Ian Tindale is a prize-winning piano accompanist, répétiteur, organist, harpsichordist and orchestral keyboard player. Ian was awarded the Help Musicians UK Accompanist’s Prize in the Kathleen Ferrier Awards in April 2015 and the Royal Overseas League Music Competition Accompanist’s Prize in June the same year, following performances on both occasions with soprano Soraya Mafi. Previously Ian had been named winner of the Gerald Moore Award, the Help Musicians UK Accompanist’s Prize in the Maggie Teyte Competition, and the Association of English Singers and Speakers Accompanist’s Prize (Courtney Kenny Competition). Ian has performed with singers at venues across London, the UK and in Europe. Recent engagements have included the Samling 20th Anniversary concert at Wigmore Hall where he performed alongside Malcolm Martineau and James Baillieu, and a recital at the Oxford Lieder Festival with fellow Ferrier Award winners Gemma Summerfield and Soraya Mafi. He has also performed at Cadogan Hall, Queen Elizabeth Hall, St John’s Smith Square as well as at the Ryedale Festival, Buxton Festival and further afield in Scotland, France, Corfu and Malta. 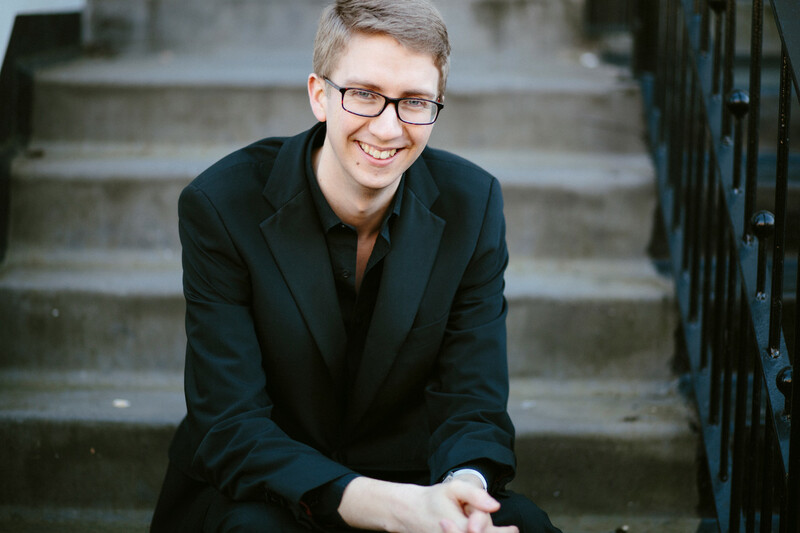 Ian is a Samling Artist and a Britten-Pears Young Artist, and he has an ongoing relationship with Samling Academy as an accompanist and coach. He has performed with established artists such as Christopher Purves, Nicky Spence and Susan Bullock, and Ian regularly collaborates with rising stars Katy Crompton, Anna Harvey, Nick Pritchard, Timothy Connor and Timothy Nelson among others. He has also performed on BBC Radio 3 ‘In Tune’ with British Youth Opera and tenor Matthew Long, and he recently appeared on BBC2 ‘Proms Extra’ with Ailish Tynan. He has played for masterclasses with Gerald Finley, Sir Thomas Allen, Brigitte Fassbaender, Sarah Connolly and Olaf Bar. In March 2017, Ian was a semi-finalist in Das Lied competition in Heidelberg with duo partner Harriet Burns. Ian, originally from Oxfordshire, read Music at Selwyn College, Cambridge, where he was also Organ Scholar. He graduated with a double First in 2011, receiving the Tony Bland Prize for academic achievement, the Williamson Prize for performance and the Brian Runnett Prize for organ. During his time in Cambridge Ian was also a rehearsal pianist for opera productions and choral societies and worked under conductors such as Stephen Cleobury, Roger Norrington and David Hill. In 2013 Ian graduated from the Master of Performance course in Piano Accompaniment at the Royal College of Music (RCM) with Distinction following studies with Simon Lepper, John Blakely and Roger Vignoles. Subsequently Ian was the Lord and Lady Lurgan Junior Fellow in Piano Accompaniment at the RCM where he worked primarily with the vocal and opera faculties, and he also performed in recitals celebrating the songs of Poulenc, Britten, Jonathan Dove, Vaughan Williams and Wolf. As a répétiteur Ian has worked with British Youth Opera (The Bartered Bride, 2012), Cambridge Handel Opera (Atalanta, 2013), Ryedale Festival Opera (The Coronation of Poppea, 2014), Samling Academy Opera (L’Enfant et les Sortilèges, 2015) and most recently at the Royal College of Music (La Finta Giardiniera, 2016). He performs frequently as a harpsichordist and continuo player, including with Eboracum Baroque, the Saraband Consort and London Baroque Sinfonia. In July 2016 he returned to the Ryedale Festival as Music Director of Handel’s Alcina. As an orchestral keyboard player Ian has appeared with the BBC Symphony Orchestra on BBC Radio 3 and at the Royal Festival Hall with the London Philharmonic Orchestra (most recently as soloist in Bach’s Brandenburg Concerto No.5), Philharmonia Orchestra and London Symphony Orchestra. As an organist, Ian gained the Fellowship Diploma of the Royal College of Organists (FRCO) in 2012, and he is now Visiting Organist of St Mary’s Church, Merton Park. He is also the accompanist for the Whitehall Choir, conducted by Joanna Tomlinson, and he acts as a deputy accompanist for choirs across London including the Philharmonia Chorus and the London Concert Choir.